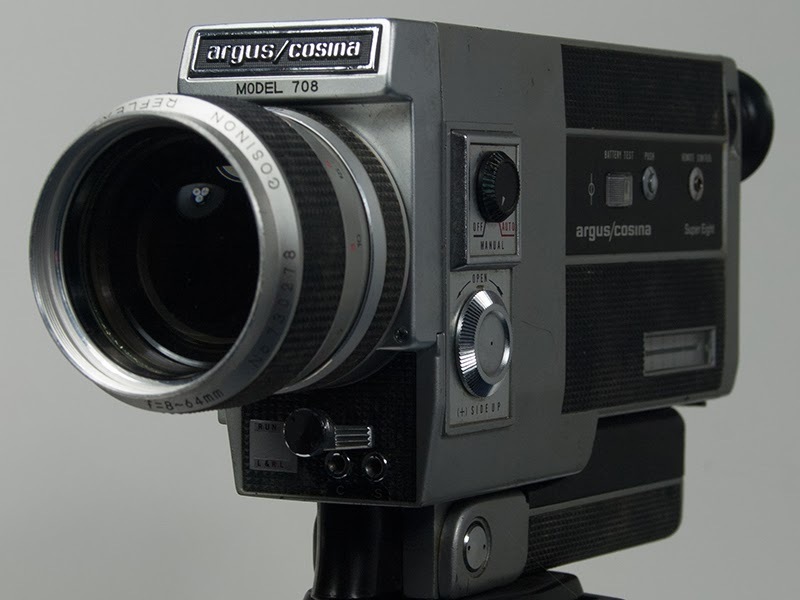 The first Super-8 motion picture camera I learned on. In the same way that everyone has their own opinion as to What is the Best Video NLE Out There, there are different types of learning styles as well. Not everyone learns the same way. There are some people who need to read a book or manual before they can tackle a new tool and then there are those who need to learn by complete immersion. I happen to be the type of person who needs to learn by doing. I was recently watching a guitar lesson by guitarist Nuno Bettencourt. In that lesson Nuno expressed his philosophy on learning the craft - it's sometimes best to try and mimic what you're hearing rather than to have the artist show you exactly how it was done. By making an attempt on your own, you start to develop a style of your own. I think the same can be true with video craft. Depending on the type of learner you are, sometimes the best way to learn is to make make an attempt at recreating something you've seen. Whether it's a look you admire, or a certain way to tell a story, you can learn a lot by creating on your own. As I said in How to Become a Video Editor, the most important thing to learn is how to tell a story. Learning how to construct a story leads you to develop a rhythm in how you edit - your style. I have been interested in the film and video craft from a very early age. As I said in My Start Using Nonlinear Editing Systems, I started developing my style long before I ever used a video NLE system. Then again, I have always been the "self-taught" type of person, and have always been more engaged in the type of learning that was hands-on. There are some things you can only learn in a professional environment, but developing a style of your own is a personal thing. Sometimes if you're learning without someone else's input, it's easier to develop a style that is your own. Mouse Failure - A comedy short I produced while working at Avid Technology.This was a side project I did for an annual employee video contest. It tells the story of an Avid editor and the problems he confronts while trying to finish an edit. OMFG- the OLD AVID logo! a Beige ADB keyboard! CRT monitors! Power Mac 9600? AVR77?